An integral part of any roof is it’s guttering, placed to catch any falling rainwater and channel it away from the exterior walls of your property. Hayday Construction and Roofing are specialists in slate roofing and as a result have nearly 2 decades of experience in professionally fitting and repairing guttering and the surrounding boards (fascia boards and soffits.) 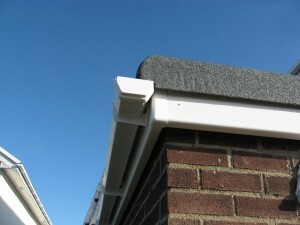 We are happy to repair your existing guttering or to replace broken or failing guttering as well as to fit uPVC or wooden fascias, soffits or other exterior cladding.